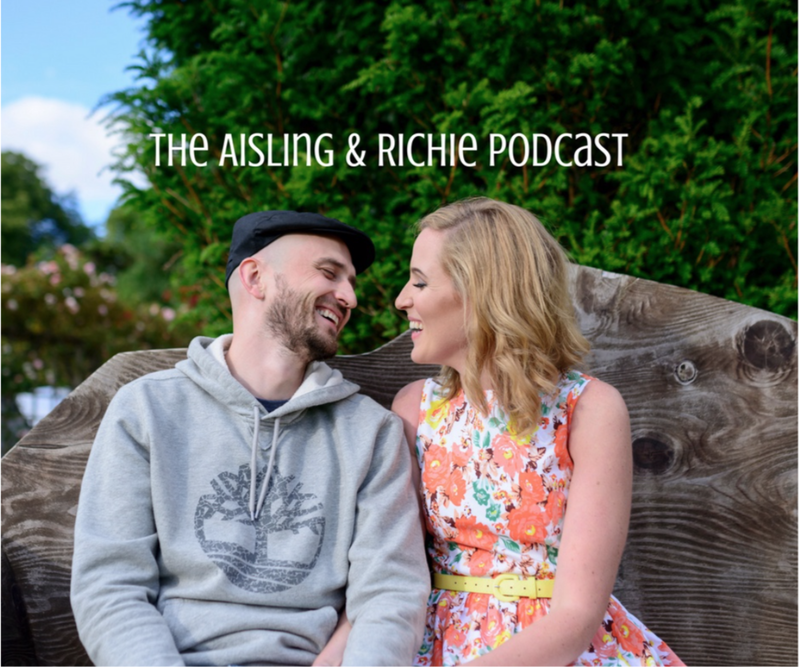 In today’s episode of the Aisling and Richie Podcast we discuss how it’s about the long game when it comes to following your vision. We both share our stories of how we began our individual journeys back in 2010. The year we both qualified in what we thought at the time was our careers. Richie qualified as a Physiotherapist and I qualified as a Occupational Therapist. Richie jumped ship and decided to pursue his career as a musician. It took him 2 1/2 years to complete his debut album Odyssey and now this year he is touring his album in 20 countries across Europe. Richie went onto his path not knowing how it would unfold but he says it’s very important not to give a f**k what others say or do. I share how I started my path with my healing journey back in 2010. After qualifying as an OT, I didn’t have the energy to pursue that career and instead found myself with the job of healing myself. This opened up to starting a campaign to get fluoride out of our water supply and soon after The Girl Against Fluoride after realising most people wouldn’t listen to the science against fluoride. I had no idea of how long it would take and initially thought I’d give the campaign a year. After 7 years I now see that it will take a generational shift to create the change we want to see. Getting the fluoride out of the water is a long game. I got really disheartened when I didn’t get the fluoride out in the timeline I had intended. This was a big lesson in detaching from the outcome and surrendering to the way life is unfolding. Now I can see how important it is to think longterm so you can breathe and focus on what is in front of you. All change takes time and doesn’t follow a straight line. Your intentions are not set in stone, they’re a guideline that changes as you evolve. Enjoy where you are because “there” is here. As always, I’d love to hear from you. How can you think of the long game of your vision and break it down into what you need to do now to make that happen over time? What's the alternative to you not following your vision in 2019? Happy New Year for 2019. We’re back with the first podcast of 2019 after a relaxing 2 week holiday. Today’s episode asks you the question “What’s the alternative to you not following your vision for 2019? Reducing our phone time is our intention, using social media as a tool instead of a tyrant. Visited Mary Helen during the holidays and I birthed the beginning of my first book Moving From Fear To Trust that I’m co-authoring with my Mum Martha. I’m deeply grateful to have Mary Helen as my mentor and Book midwife. Sharing my intentions with you helps me to stay accountable and on track with my project. Richie shares about his Odyssey Tour in Europe this year. We’re socially conditioned to fear failure. We attach our identity to failing and it makes us want to give up. Failing is part of the process of learning to master anything. It doesn’t make you a failure. When you fail, fail in the direction you want to go in. Richie’s example of his first attempt at making his album. Embracing failure is essential when you pursue your goals and vision. Map out your intentions for the New Year and detach from the outcome of how it has to unfold. Learn to trust in the timing while having the discipline to stay on your course. Inspired by a question I heard recently on a Masterclass by Elizabeth Gilbert, I’d like you to ask yourself is “What’s the alternative of you not following your vision?” Please share in the comments below. Doors are open to join Energy is Your Currency Membership today until tomorrow at 8 pm. This months theme is focused on embodying Hygge, which is the Danish concept of creating contentment and wellbeing. This practice is designed to move you from fear to trust so you can follow your vision this year. There ‘s a masterclass with Mary Helen Hensley available to give you the momentum to move through your fears and take inspired action to bring your vision to life in 2019. Are you ready?